The RIXO 'Georgia' midi skirt is cut from luxurious silk and adorned with a 'Black Leopard' print hand-painted by the founders in their London studio. 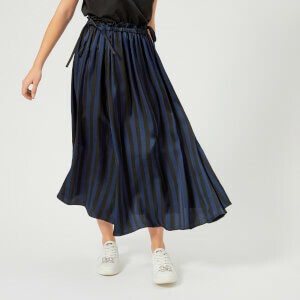 Capturing the brand's spirit with its feminine silhouette, the pleated midi skirt sits high on the waist and is elevated with side slits for a playful finish. Secured at the back with a concealed zip fastening.